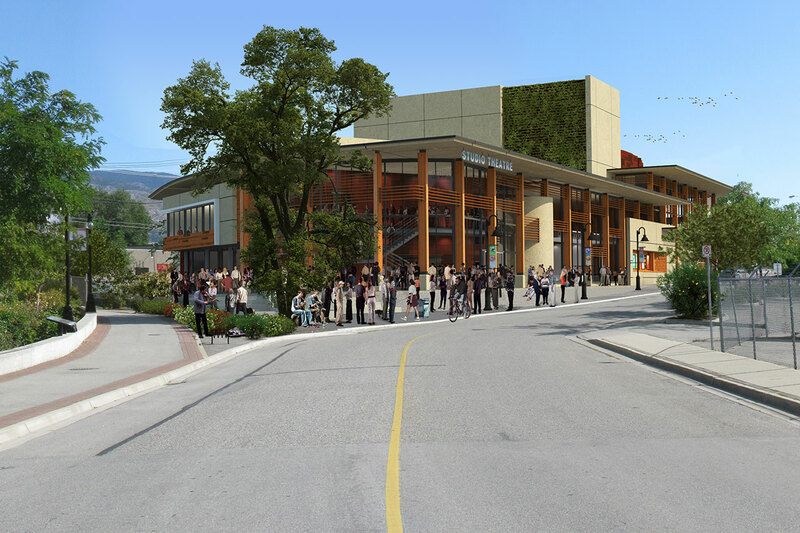 The SOPAC project was envisioned by the arts community of Penticton. This 56,000-square-foot building would accommodate a 750-seat main theatre and a flexible black-box community theatre space. 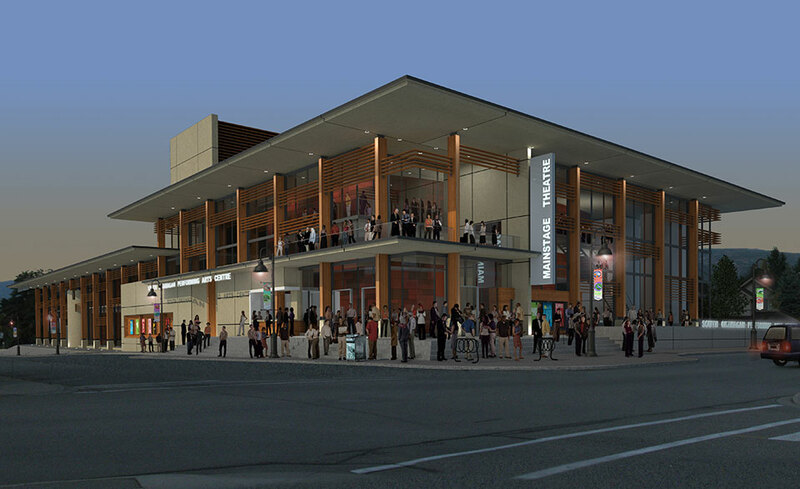 The main theatre and two-storey grand entry lobby would face the commercial street, while the community theatre would face the creek side of the building. The large Back-of-House area and enclosed loading docks would be located midblock to efficiently service both theatres. Meiklejohn Architects Inc. partnered with Proscenium Architecture + Interiors Inc. to design this project.